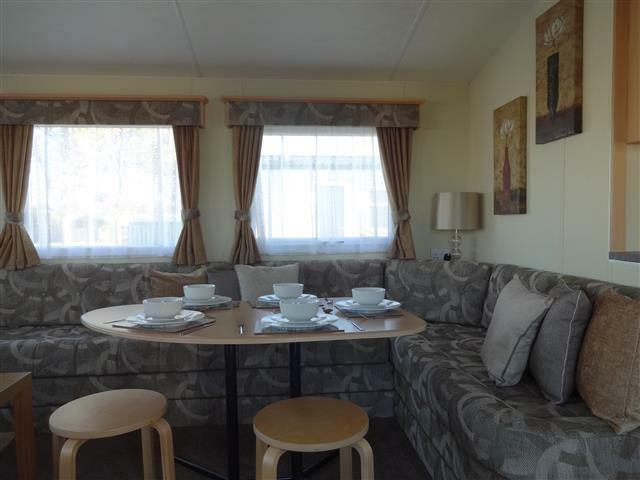 6 Min walk to Skyline door or catch the free Train, the Bromley Deluxe is comfortable and spacious with vaulted ceilings throughout. 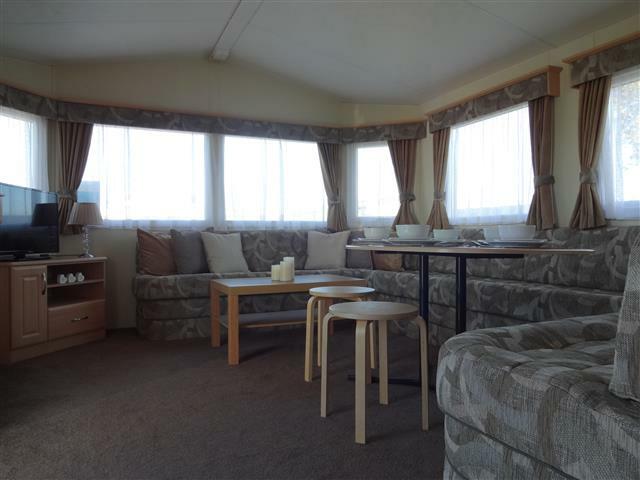 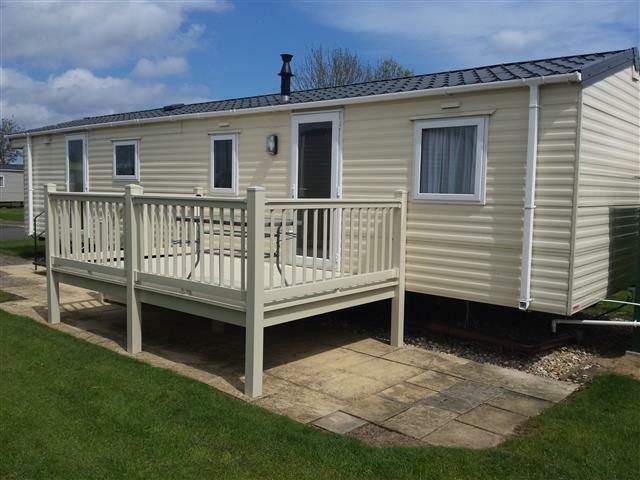 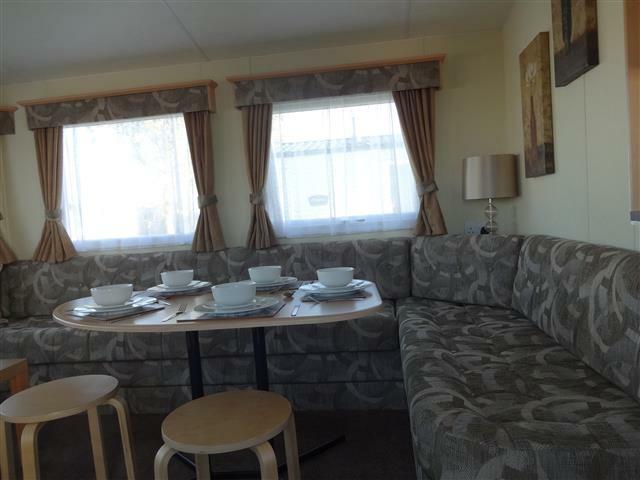 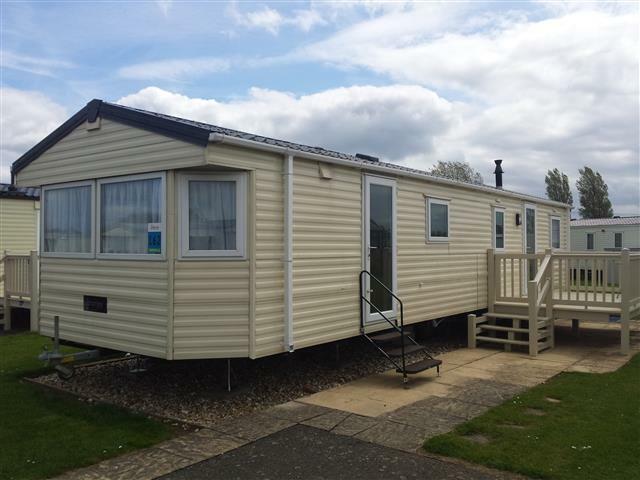 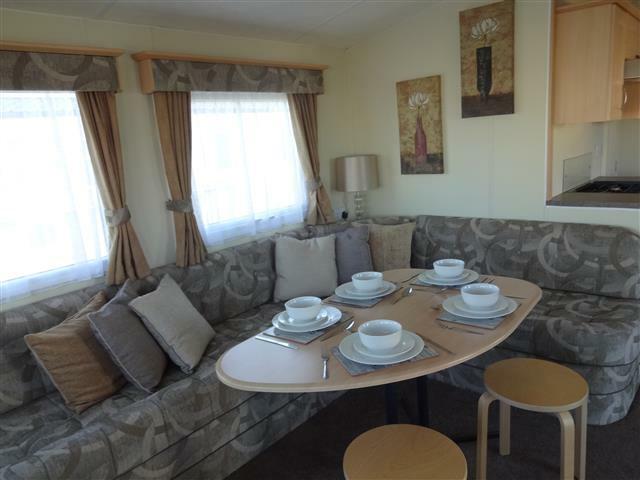 The modern styling and fabrics give this holiday home a welcoming appeal, an ideal family holiday home with fitted wrap around seating incorporating a double pull out bed. 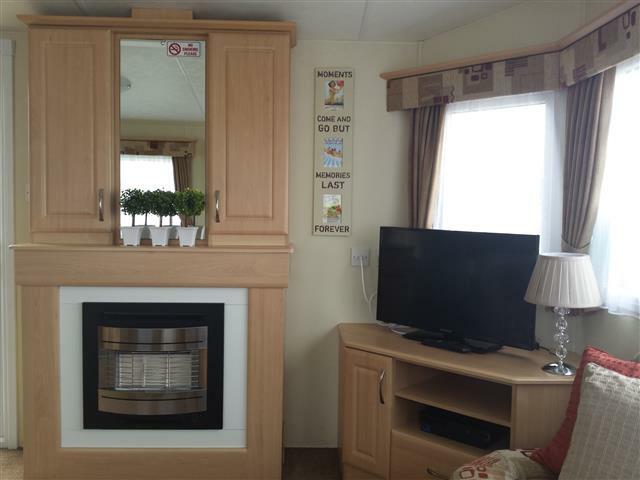 Complete with feature gas fire & surround. 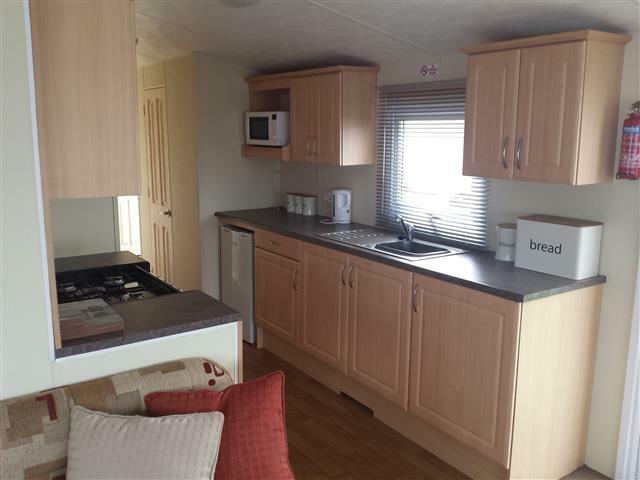 The modern fitted kitchen with full oven and grill allow easy transfer to the spacious dinette style eating area. 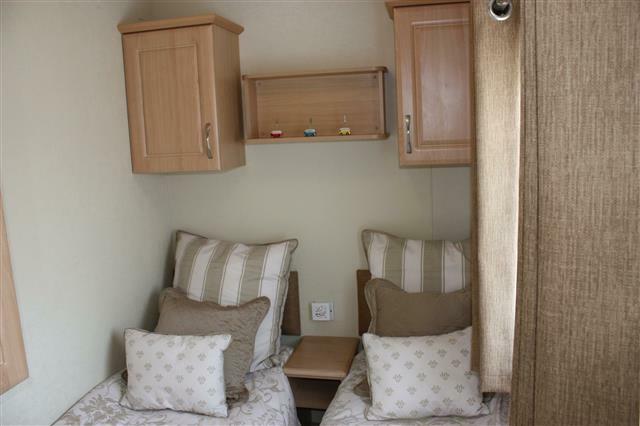 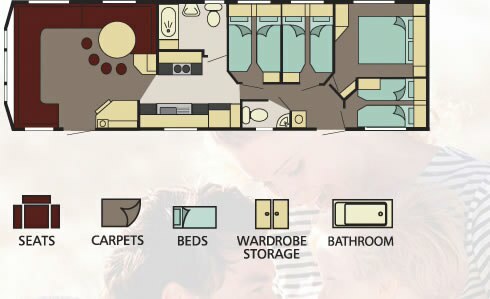 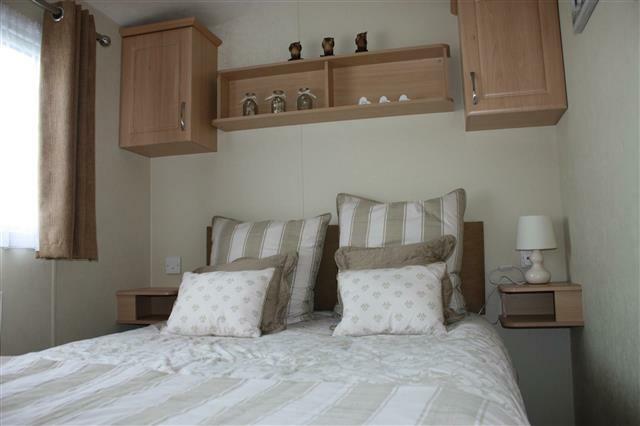 There are 4 well fitted bedrooms, 1 double and 3 twins. 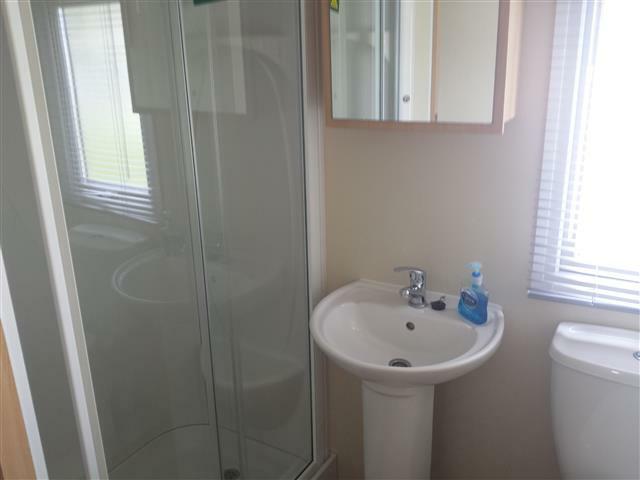 Large spacious shower room with toilet and wash basin. 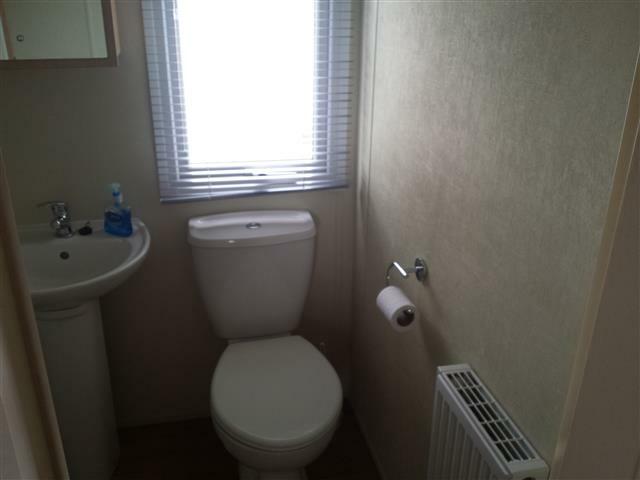 Also as you would expect from this 4 bedroomed holiday home there is a further separate toilet with wash basin. 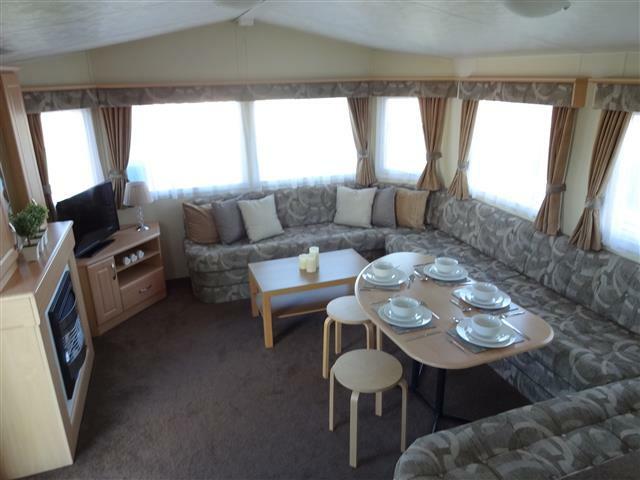 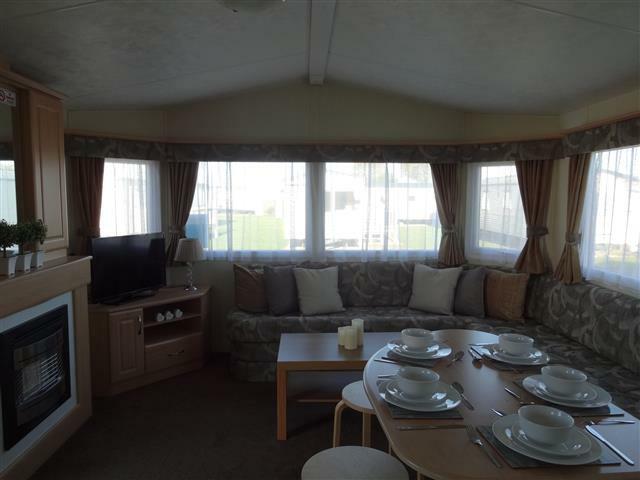 This Delta Bromley encourages comfort, relaxation and enjoyment of your holiday. 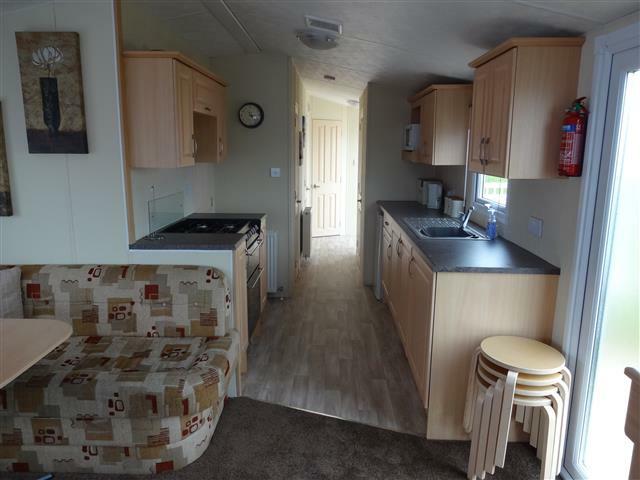 We can provide a bed guard, travel cot, highchair with this caravan, included in the price. 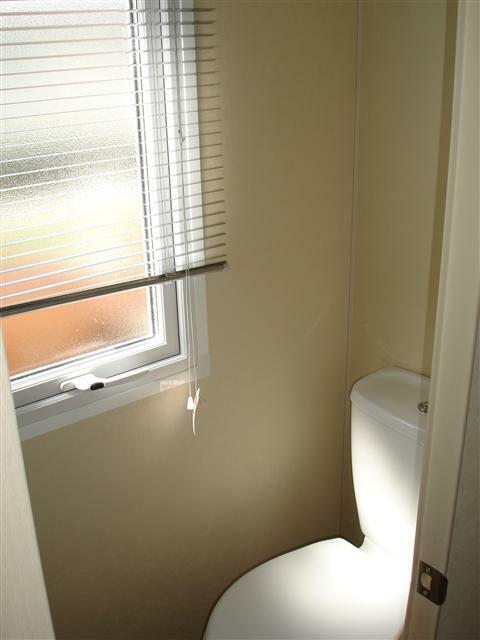 You will need to provide your own linen/towels or we can hire them for you – Please ask. 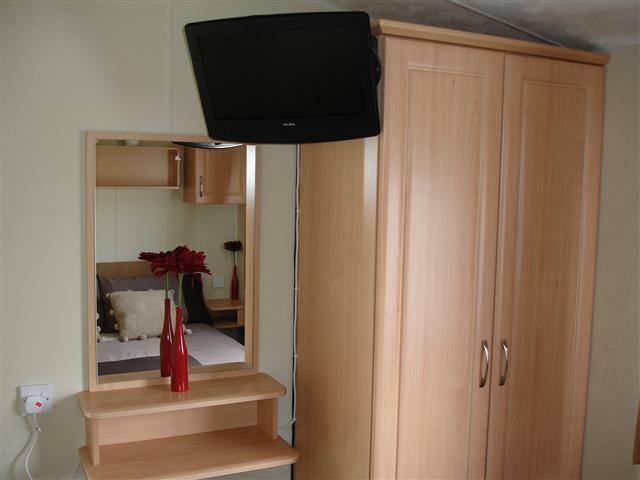 * 32″ LCD TV, freeview, DVD & CD player.